Here’s a quick tour of some of the Cold House cellar features. They have a ramp down to the floor. It does not seal very well, unfortunately, but is still probably better than repeatedly opening the human-size doors to let cats in and out. This spot of the house is the one area where I do have concerns about frozen pipes– the drain from a bathtub we rarely use is just adjacent to the window and cat door. So, I’m monitoring the area with the remote thermometer sensor (the little white box atop the pipe.) Right now it’s 45. I don’t think it’s going to be an issue, but I’m going to get some extra insulation done there just to be on the safe side. This entry was posted on December 14, 2009 at 2:31 pm and is filed under Product Endorsements. You can follow any responses to this entry through the RSS 2.0 feed. You can leave a response, or trackback from your own site. Wow, great stuff. I’ve just started reclaiming dishwasher water per your example. Ours is a bit less efficient, so we use a plastic tote. 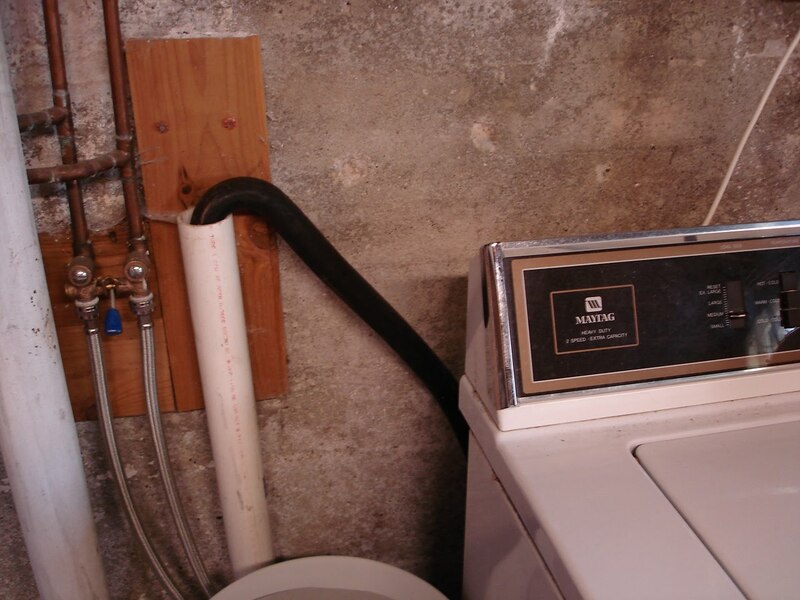 Looks like you need to insulate that cold water pipe too. The hot water in the tank will set up a convection current. 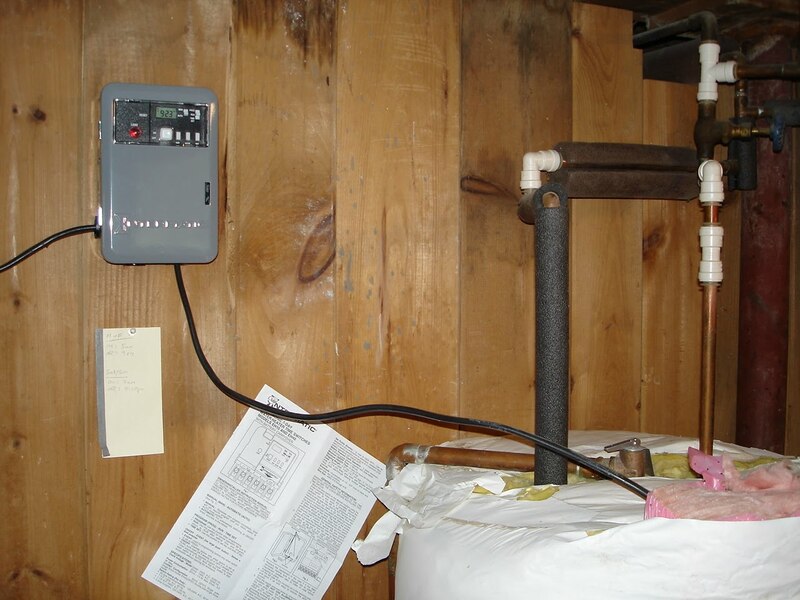 You can install a heat-trap, or just insulate the closest meter or so of pipe to the water heater. I very much enjoy your blog. I was wondering if you had any problems with insects or rodents from storing wood in the cellar or garage? 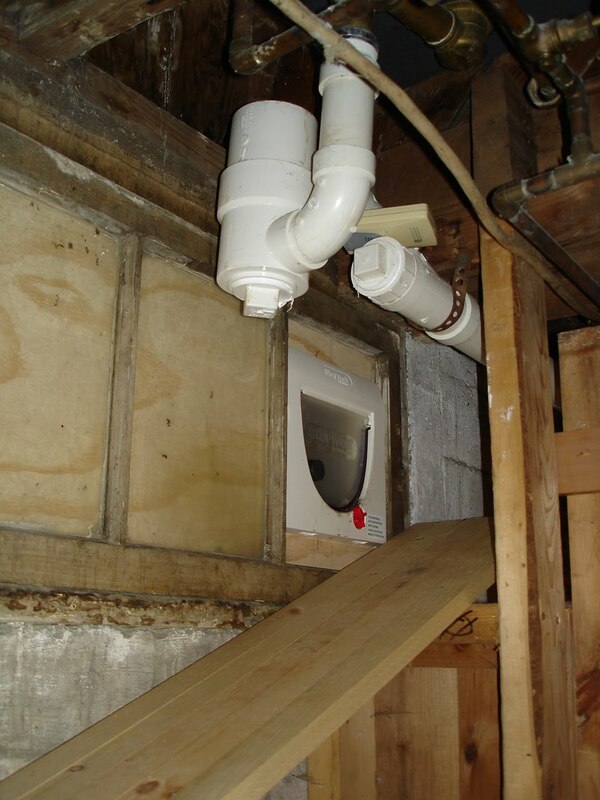 I’d like to install a woodstove but I have limited options for storing wood, and am considering the garage (which is attached to the house). All recommendations I have read, however, argue strongly against this. We haven’t had much trouble. 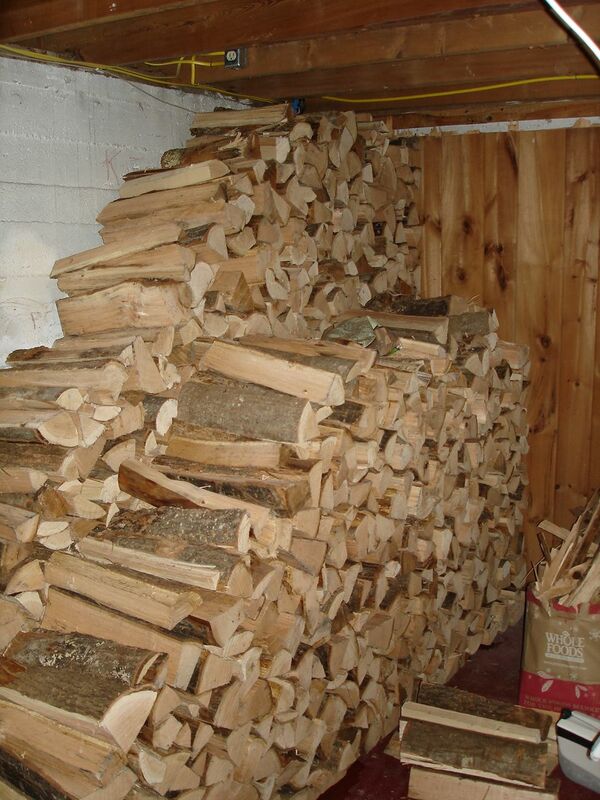 In the cellar, I’ve only put kiln-dried wood, which is pretty much dirt- and insect-free. Field-dried wood I have put in the garage, but I clean it off pretty well first. And the garage is unheated, so that keeps the critter population at bay. If we lived further south and termites were a potential issue, I’d definitely think differently.